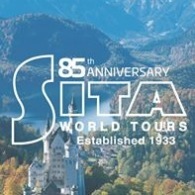 All SITA World Tours tours, river cruises, expedition cruises, and adventure trips. Find the best guided trips and expert planned vacation and holiday packages. Average rating of 0.0 for all SITA World Tours trips. See the highlights of Cape Town on the half day city. Relax for a few days in this Mother City or choose optional tours to the Cape Peninsula and Cape Winelands. Then an exciting safari awaits you - game viewing in open safari vehicles by day and at night and on guided bush walks. Simply South Africa at it’s finest! Explore Gibbon, enjoy the beauty, magic and adventure canopy of Thailand's 1.8 miles of thrilling wire zip-lines.